Must be a high school graduate or have your GED. Must be a licensed EMT to be able to teach at their level of licensure. Must have a current BLS for Healthcare Provider card. Must have a current State of Michigan EMS License. Must provide proof of 3 years field work experience at current licensure level at an EMS Agency. Must submit 2 letters of professional recommendation; at least 1 from a licensed EMS I/C. 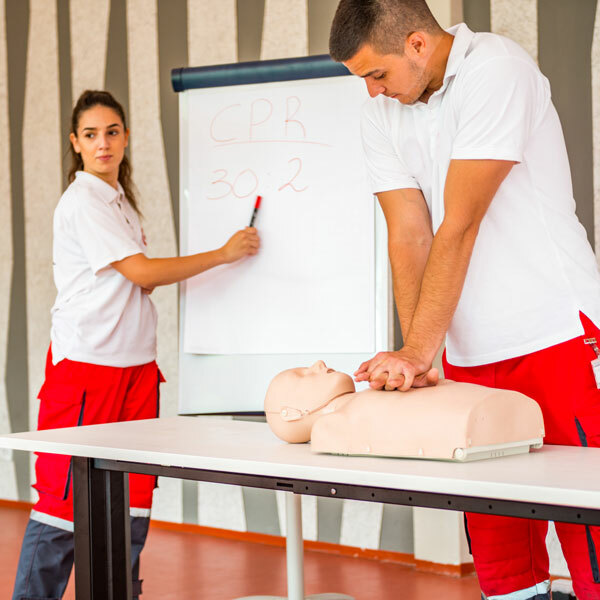 The purpose of this course is to prepare you to become an instructor for EMS programs. You will learn teaching methods and practices for teaching the latest life-saving techniques and procedures. These skills can be used to become an EMS Trainer in your department and to open the doors to career advancement within the expanding EMS industry. You will learn the principles of educating adults, hone your ability to demonstrate and teach practical skills, become an effective lecturer and develop educational course offerings based on an assessment of your target audience’s needs. The EMS – Instructor/Coordinator course will prepare you to take and pass State I/C licensing exams. Students who successfully complete this course meet Michigan MDHHS requirements for the Instructor/Coordinator license. Course applications are submitted to MDHHS for approval. Prior criminal convictions may prevent licensure. Contact LSTI for more information. Please note that LSTI reserves the right to cancel or postpone courses up to and including the start date due to low enrollment. Tuition refunds offered on or before the first day of class to enrollees as applicable.